More than 20 years ago, the 12V Protective Charger for Battery in Stock--12V iPro Charger saved a large amount of military expenditure and solved many problems of battery desulfation in PLA. Moreover, it ensures the complete performance of the starting batteries of the vehicles and improves the maneuverability and quick reaction capability of the army. According to different rated voltages of the lead acid batteries, the 12V Intelligent Maintenance Charger is designed with multiple specification models, respectively used for 12V, 24V and 36V batteries. Therefore, the user should ensure that the specification of the repaired battery is matched with the selected lead-acid battery Protective Charger for Battery in Stock. 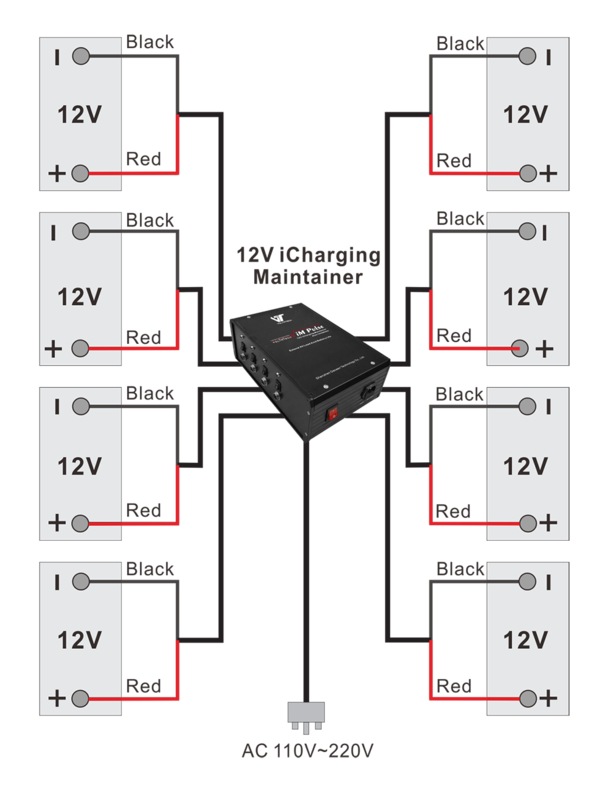 The 12V iPro Charger--A lead acid battery smart charger is mainly designed specific to the concentrated storage and management mode of combat readiness batteries by our army. Now, the batteries in reserved vehicles of our army are always in the inactive state and placed in the battery room of the equipment warehouse for long time, and needs charging maintenance regularly by a specially-assigned person, which wastes time and achieves a poor effect. However, by means of the battery smart charging maintainer, the battery capacity may not be reduced no matter how long the batteries are stored, no daily maintenance or servicing of the batteries is required, and the vehicles can start at any time. Looking for ideal 12V Intelligent Maintenance Charger Manufacturer & supplier ? We have a wide selection at great prices to help you get creative. All the Long Battery Life are quality guaranteed. We are China Origin Factory of 12V Battery Master. If you have any question, please feel free to contact us.